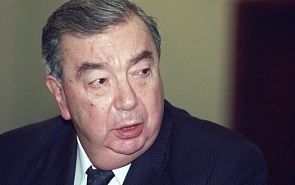 Full Member of the Russian Academy of Sciences, President of the Mercury Club, former Foreign Minister (1996-1998) and Prime Minister (1998-1999) of the Russian Federation. Previous position: head of the Russian Chamber of Commerce and Industry. The IS concept of a caliphate incorporating all Muslim regions appeals to many. Several Arab countries have joined the states that have declared a willingness to stand up against the IS. Therefore, the lineup of forces in the Arab world is far from simple or clear. The economic decline in Russia in 2013 was caused by internal rather than external reasons. In this context the need to counter neoliberal policy in Russia is becoming particularly urgent. Russia may be threatened with serious negative consequences if the difference between liberal ideas and neoliberal principles is not clearly defined and neoliberal policy is not opposed.